In an unfortunate turn of events, Sanek takes a step backward after his below average but satisfying and promising The Chronic episode. While "WSTime" is not a bad map, it has some major problems. First, Sanek borrows the concept of inconsistency from Compton. 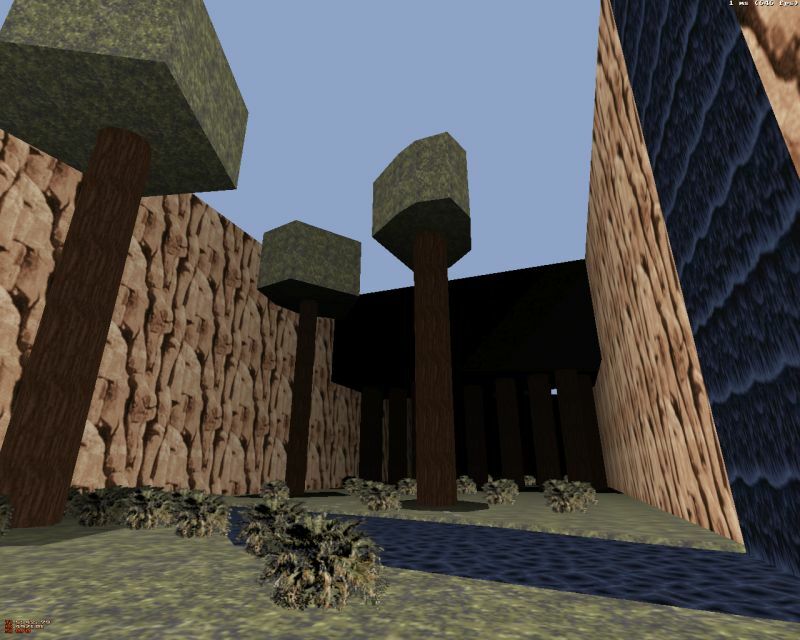 After doing a few rounds in a forested mountain area you come across a teleport that's hidden inside a tree. This tree then takes you to some random and completely horizontal apartment location after which you're right back in another forested area for whatever reason. The second major flaw is that the level smells cheap. See this shot for an example. 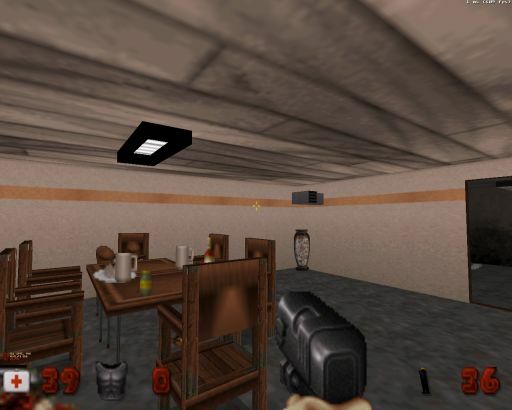 The vent, the sprite chairs and the light with black surroundings are repeated a million times in all of Sanek's levels, including this one. It's about time to come up with something new! The first forest area doesn't look bad but it is a bit cheap. The trees are quite bland and the "mountains" surrouding the gameplay area are blocky. Also, painting walls black does not provide an immersion of a forest that stretches past the gameplay area. Gameplay also suffers from flaws similar to those in The Chronic. In the apartment section you need to find three keys. You'll find the first one before coming across its lock and the other two keys are just a room away from their locks. Item/monster ratio is not quite as good as in The Chronic. Shotgun and pistol are the only weapons you'll come across (unless you're lucky enough to get a Chaingun from an Enforcer - I wasn't) and you'll probably run out of bullets and health in the second forest area. So, for whatever reason, Sanek decided to pull off a completely uninteresting map with poor gameplay balance. It doesn't look bad but it hasn't got a single redeeming quality.